This was actually not meant to be a cosplay. 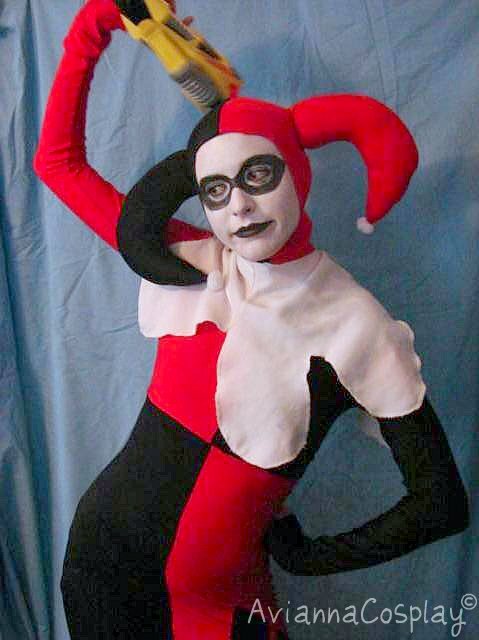 I just wanted to be Harley for Halloween. I made the body suit with swimsuit fabric and the pattern was from a dance body suit, I literally pinned it to the fabric and cut it out, which was hard, cause we had to alter it alot. (We being me and my best friend Jen) Its all serged together and we took alot of time sizing it to my body with pins and re-serging it to fit my body. I hope in the future to make a better neck piece, gloves and shoes. There’s even been talk of me and my Joker counterpart of making me a weapon so we can run around cons together. 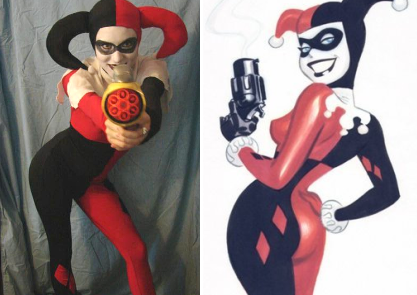 I love Harley, she’s on of my heroes!